Marriage is an elaborate process and requires a lump sum of money for successful implementation. But it is not possible for the poor to arrange the funds. 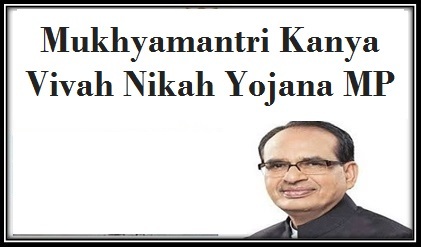 For their assistance, the Madhya Pradesh government has announced and implemented the Kanya Vivah Nikah Yojana. Under the program, the government will organize communal marriage ceremonies and also assist the family economically. This scheme has been continued by CM Kamal Nath in MP. Financial assistance – The girls who are getting married in the communal marriage events will receive a total of Rs. 51000. The amount will be divided in many parts for the ease of operations. Religion no bar – Last but not the least; staying true to the idea of communalism, the state government will provide the assistance to people of all religions. Both the Hindus and the Muslims will be able to register for attaining the benefits. This will be given to the beneficiaries in three phases. Out of the total amount of money, the government will deposit Rs. 43, 000 directly in the banks’ savings account of the beneficiaries. The applicant will receive the amount right upon the completion of the entire application process. The girls who are eligible for the scheme will be offered this amount for their marriage expenses. Apart from this, a total of Rs. 5,000 will be given to the girls for gifts related to the marriage. Besides, the remaining three thousand rupees will be given to the applicant in order to organize the marriage program. The scheme has been unveiled by the Kamal Nath government. The scheme has been aimed to offer an organizing event of the marriage ceremony in a collective manner. Hence, the government has decided to offer a total of Rs. 51, 000 to the beneficiaries who are eligible for the scheme. For the residents of MP only – As per the guidelines highlighted in the draft of the scheme, only the official residents of the state will be able to get the benefits of the scheme. People coming from other parts of the nation will not be permitted to opt for it. Living below poverty level – As the scheme has been implemented to reduce the financial burden from the shoulders of the poor, only those who have the certificate to prove that they live below the poverty line, will be permitted to opt for the benefits. Meeting the age requirements – The poor families will be able to register the name of their girls, for getting the benefits of the scheme, only if the girls have attained the legal age of 18 years or are above that age. No more than two girls – Another eligibility criterion is that each family, meeting the above-mentioned eligibility requirements will be able to register the names of two girls only. Only two girls from each family will get the advantage of the scheme. No income Bar – The Chief Minister Kanyadan will benefit a wide range of people. Under the Yojana, the government has not mentioned any limitation concerning the income. The scheme is to offer a total of Rs. 51, 000/-. Proof of residency – As the plan is exclusively for the people who are legal residents of the state of Madhya Pradesh; the candidates opting for the scheme will have to produce their residency certificate. Age certificate of the girls – While registering for the scheme, the families will have to make sure that the girl is of or above the legal age. For this, the family will have to produce proper documents for supporting the age claim. BPL certificate – Most people who are suffering from poverty and cannot bear the expenses of marriage are the target beneficiaries of the scheme. Thus, the production of the BPL certificate or card is a must. Details of the bank account – The families will not be given the money in cash. The lump sum amount will be provided in the form of an account payee cheque. So, the candidates need an active bank account and the account details must also be provided during registration. Any applicant who is interested in getting registered under this scheme will have to download the application form from the official website for social justice, MP. You can visit the link directly at socialjustice.mp.gov.in. from your web browser. The application form can also be downloaded directly by visiting the link at http://socialjustice.mp.gov.in/Portal/Public/Scheme_Details.aspx?ID=7. The form is available on the official website in the form of PDF format for download. The details can be filled in manually and then the submission of the form can be made at Gram Panchayat office or the Janpad Panchayat office within the selected rural areas. The applicants can also submit the application forms at Nagar Nigam office, Nagar Parishad office or the Nagar Panchayat office within the urban areas. All documents to be attached are expected to be submitted along with the application form at the respective offices. It is not the first time that the state came up with such a scheme. A similar program was also functional earlier. With time, the state aims at increasing the budget so that more candidates can get the advantage of the scheme. Communal marriages were conducted earlier as well. The chart below will provide you with the details of the expense of the state and the number of people benefitted by the scheme.